The waiting will soon be over. A DEBATE ON the banking inquiry report will take place tomorrow and Thursday in the clearest indication yet that the general election will be called by Enda Kenny next week. The final report of the inquiry will be published tomorrow afternoon, with an hour-and-a-half set aside to debate the report in the Dáil tomorrow evening at 6pm. Speaking in the Dáil this afternoon, Kenny said the debate will begin by hearing from committee chairman Ciarán Lynch and then the other committee members. A further two-and-a-half hours have been set aside in the early afternoon on Thursday to debate the report into the collapse of the Irish banking system. It had been thought the debate on the report would not be scheduled until next Tuesday, but its scheduling this week is an indication that the Taoiseach will now be in a position to call the election early next week. The Labour party conference takes place this Saturday in Mullingar and, following its conclusion, there are not expected to be any further barriers to Kenny calling the election. Within in political circles, it’s widely expected that the general election will take place on Friday, 26 February. 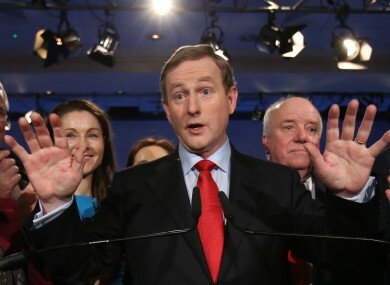 But the Taoiseach has sole discretion when it comes to setting the date. He has previously said he favours a short, three-week campaign. Kenny could either call the election in a public statement on Monday or wait until Tuesday to announce it in the Dáil chamber. Under the Constitution, Kenny is required to pay a visit to Áras an Uachtaráin to ask President Michael D Higgins to formally dissolve the 31st Dáil. Email “It's now very likely the election will finally be called early next week”. Feedback on “It's now very likely the election will finally be called early next week”.